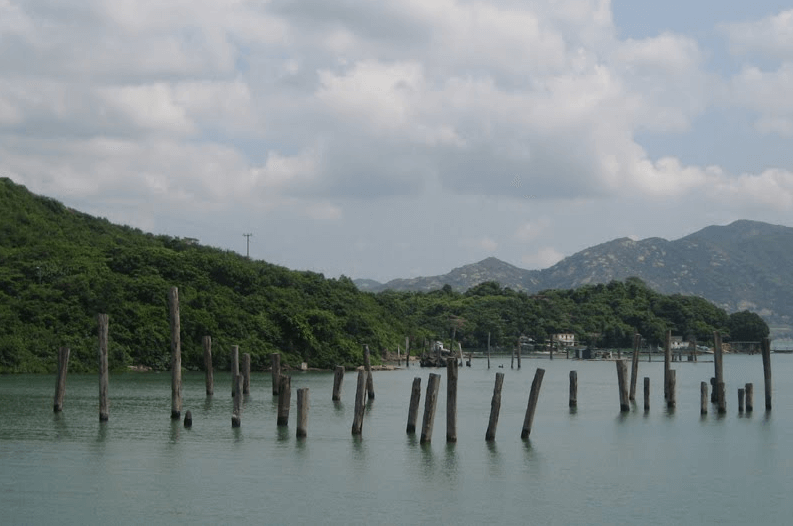 HF: At Yan O Wan (also Yam), the bay just west of Sunny Bay MTR station on the north Lantau coast, you can still see large vertical tree trunks embedded in the sea floor. If you are in Hong Kong have a look next time you are on your way to the airport, Tung Chung or Disneyland by road or rail. I remember not so long ago, certainly no more than four or five years, there were logs floating on the sea and kept in place by these. I first saw them when hiking in the area in the early 1990s when there many more but there never seemed to be anything to suggest the business was active. I wondered then, were the logs floated or brought down by boat from China? Was keeping them partially submerged in sea water an important part of whatever their final use was? And what happened to them at Yan O Wan or were they transferred to another place. And were they sawed or less likely used as whole tree trunks? 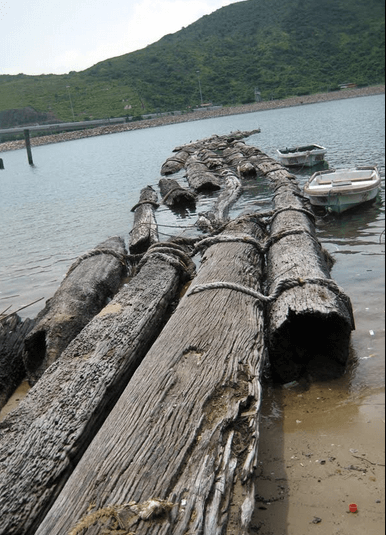 The blog below suggests there was a lumber mill at Luk Keng Tsuen village situated on the north coast of Yan O Wan. I went to the village in about 2010 and saw nothing to indicate what must have been a sizeable operation judging by the photos from 1972 and 1976 below. 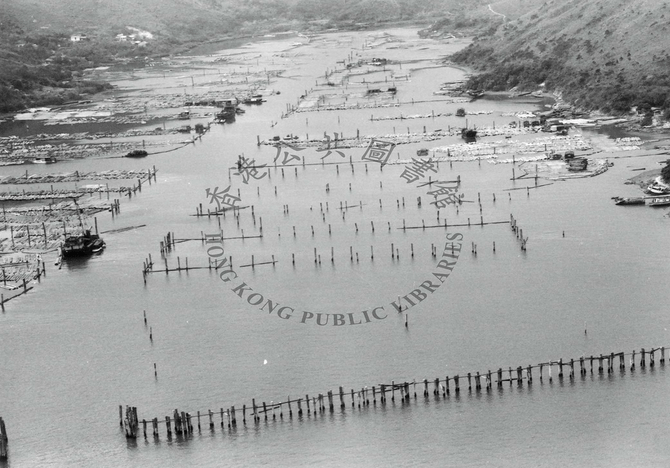 Can anyone provide information about and an image of the Luk Keng Tsuen/ Yan O Wan lumber mill? This photo of Yan O Wan was taken by IDJ in 1972. 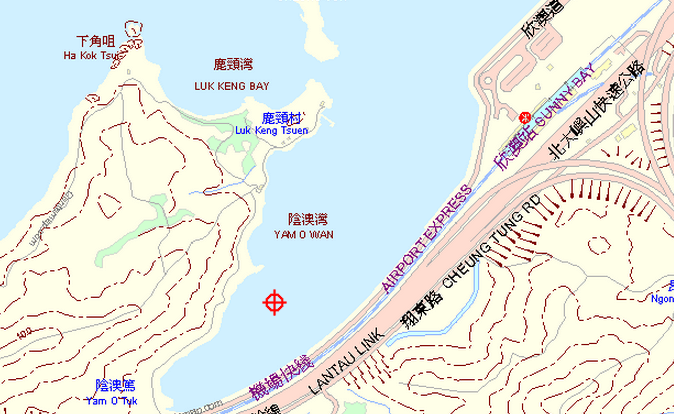 Wikipedia says: Yam O was the one and only natural lumber preservation zone in Hong Kong. True? This article was first posted on 28th January 2015. 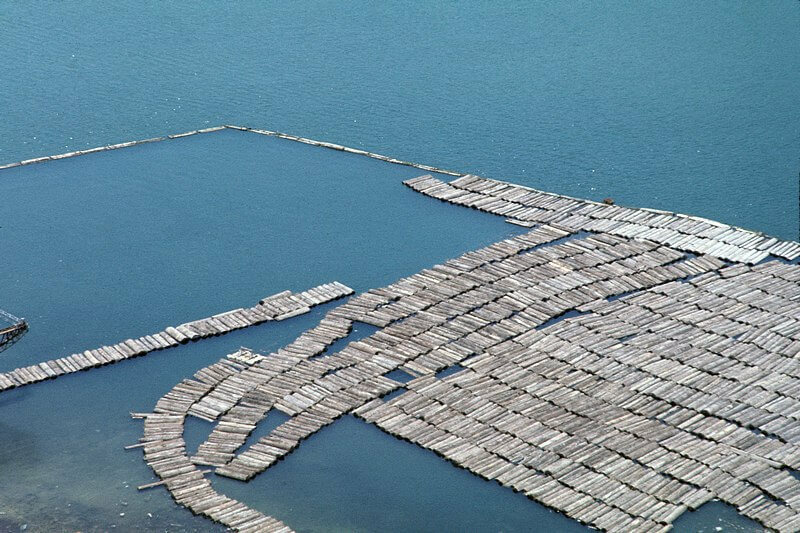 If you watch Jackie Chan’s 1983 film “Project A”, there is a scene filmed in Yam O with the floating logs. Sadly, I don’t remember seeing a saw mill, but will check again and see if it is captured. Any information about a saw mill at Yan/Yam O would be helpful. Even better with an appearance of Jackie Chan on location!